Wildlife lovers behold – it’s time to fulfill your wildest dreams with unique one-time-only animal encounters. We have hand-selected our most enchanting and memorable animal encounters across our destinations: swimming with an elephant in the ocean, walking with penguins, sharing your breakfast with giraffes or chimpanzees and watching whales in their natural habit. Are you ready to explore? A majestic, snowy landscape is a penguins dream! It can be a dream for you too if you take a visit from Ushuaia, to the Penguin Colony of Martillo Island. Whilst the freshest air of this crisp and pure climate fills your lungs, you may enjoy a one of a kind opportunity: walking with friendly Magellanic penguins in their natural habitat. 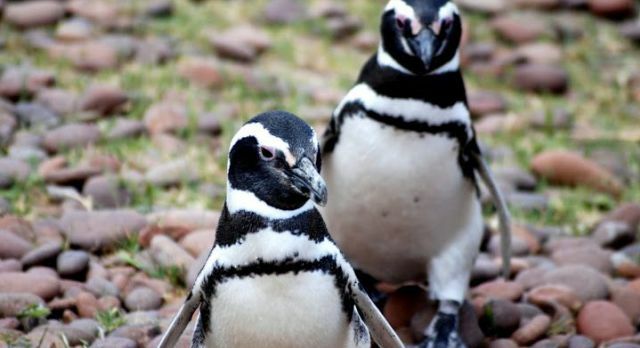 Tucked at the “end of the world” in Argentina, it’s the perfect spot for the penguins to mate and rear their young. As if staying in a 1920s boutique hotel within a peaceful rubber plantation overlooking the Western Ghats in India – appropriately called Serenity – isn’t exciting enough, we’ve got a unique experience! Share your day with the friendly elephant called Laxmi, or more realistically, she’ll be sharing her routine with you. Laxmi has the status of a celebrity within Kerala – rightly so given that she has been named after the Hindu Goddess of wealth and prosperity. 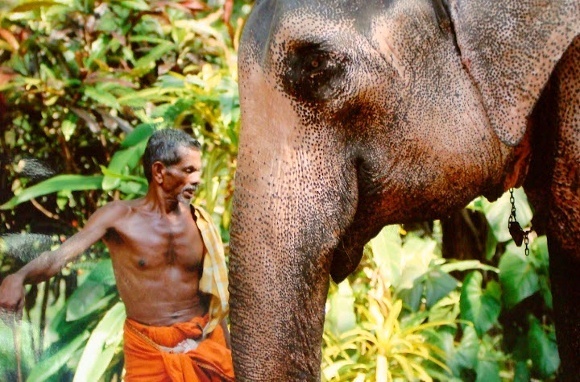 Feed her and tour the surrounding fruit and spice plantations either on elephant back or by foot and observe Laxmi lug timber with her mahout. The highlight of Laxmi’s day is taking a bath in a local river, which you can help her with! Have you ever had a giraffe to breakfast? Giraffe Manor, an elegant and boutique hotel set within acres upon acres of indigenous forest is home to endangered Rothschild giraffes and has been since the 1970s. The friendly giraffes arch their neck through windows to greet you in the morning and even visit you at your bedroom window for a completely unique experience. Not far from Nairobi, the capital city of Kenya and with beautiful views of the Ngong hills, this is the perfect setting to photograph and feed the resident giraffes – or simply observe and pet them. This is a most friendly animal encounter in Africa. 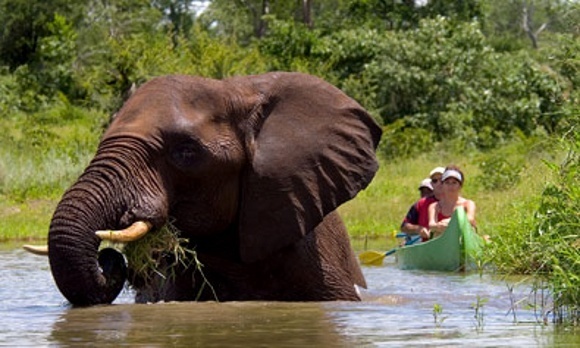 Zimbabwe has become a safe travel destination and with our specialist expertise there’s no better time to go! Right at the heart of Zimbabwe’s largest reserve in Hwange National Park known for having the biggest herds of African elephants and one of the few remaining elephant sanctuaries across Africa, you’ll find Ivory Lodge. Taking you back in time to an era of traditional safari lodges, you enjoy the African tribal charm alongside a wonderful level of classic comfort. With an experienced, knowledgeable and passionate guide, you can take a guided walk before entering one of the many hides. From here you can view the elephants and other wild animals – including sable antelope and zebra to more endangered species such as giraffes, buffalo, white rhinos and even leopards and lions – in close proximity. As you step out of your daily drone into the tropical symphony of hum and birdsong in one of the most biodiverse regions in the world, the adventures in the Peruvian Amazon rainforest are relentlessly inspiring. Inkaterra Reserva Amazonica’s jungle treks and paddles where you can explore flora, fauna and even native communities and alike is just the beginning of this exotic adventure. Experience guided tours through the wonderful treetop canopy bridge or on the anaconda trail before heading onto the Butterfly House. 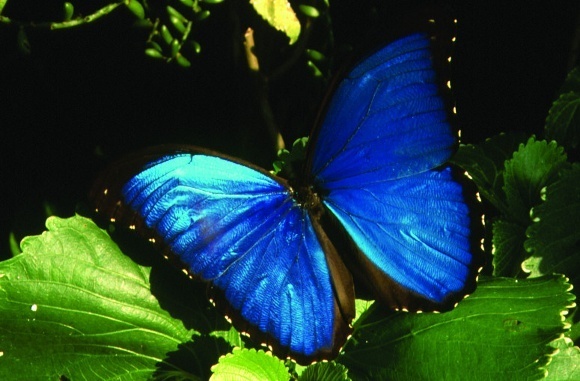 With Peru boasting the largest number of butterfly species on earth, this is the place for an interactive experience within a natural habitat. Explore nature at its wildest with a private tailor-made to the destination of your dreams with Enchanting Travels.